The family of Zimbabwean national Thabiso Proud Mlanje alias Elliot Brighton Moyo who shot to fame in February following a video where he purported to have been resurrected by Pastor Alph Lukau of the Alleluia Ministries in Johannesburg has decried foul play following his death in Zimbabwe two weeks ago. Thabiso passed away on 3rd April in what his family has described as a painful death. 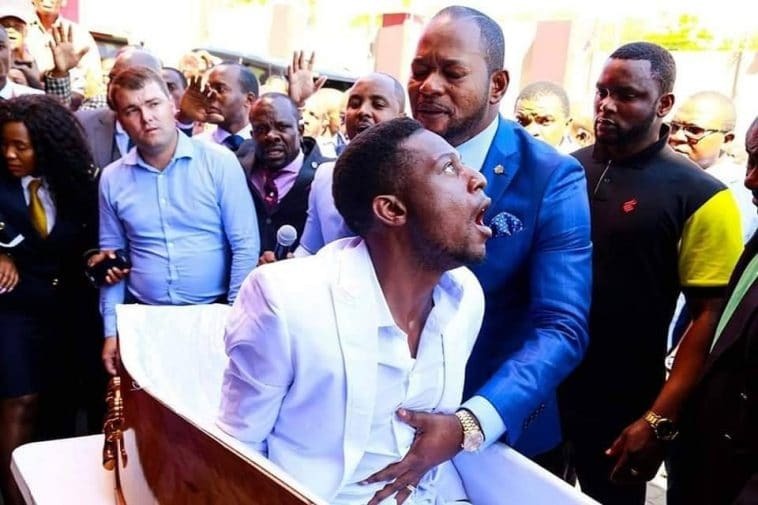 A few days after the incident, South African National broadcaster SABC had reported that Thabiso was in trouble with his neighbors in who were waiting for him to return and explain the resurrection stunt. According to Zimbabwean Tabloid B-metro, Thabiso who fell ill before the incident was afraid of being arrested in South Africa that he would escape whenever his wife took him to hospital. It is then that his wife traveled with him back to Zimbabwe on 8th March where he was hospitalized at the St Luke’s hospital in Lupane, Northern Zimbabwe. Unfortunately, Thabiso who was reportedly vomiting blood according to relatives who spoke to the tabloid passed away on 3rd April before being buried on 5th April. “I had so many questions to ask him about that whole resurrection thing but I couldn’t because when I talked to him he was not so well, so I thought I would ask him when he gets better,” His brother Stanely Mlanje said. 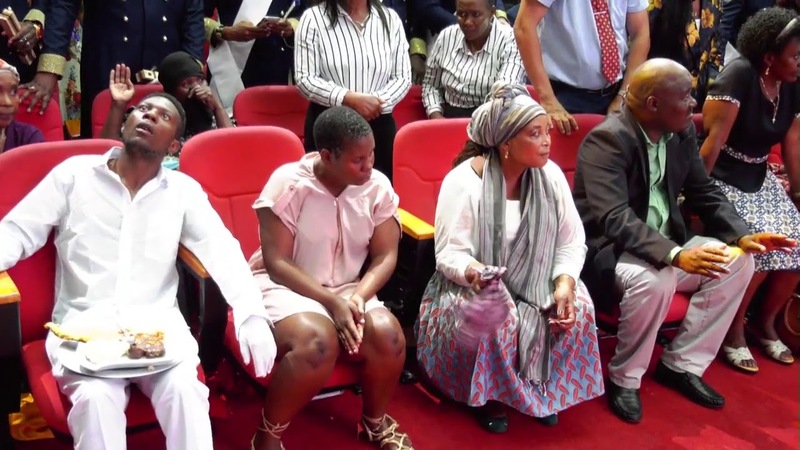 However even after his death, the ‘resurrection’ incident has left his family in trouble according to his father in law Bernard Mayendayenda Sibanda. “I am still in great distress because of what my son-in-law did. I have had to deal with the police concerning his whole resurrection scheme and now since he is dead I have to answer questions I don’t know. It causes me pain because I didn’t know anything about what happened in South Africa. This man has put me and my family in so much trouble.” his father in law Bernard Mayendayenda Sibanda said. However his former boss Vincent Amoretti has pointed an accusing finger at the Alleluia Ministries international alleging that the deceased was poisoned according to South African paper, The Star. “ I see how people are used by the churches, and it is heartbreaking. There are so many terrible people around and the authorities do nothing. From what I hear, they poisoned him. The guys at work were talking and they said his stomach was bad and he was bleeding.” Amoretti was quoted by the paper. Thabiso who had worked for Amoretti for 6 months is survived by a wife and two children.